Home › Home News › Empowering parents to help their children learn! Our team in Timor-Leste recently told me about a young lady named Angelina. It reminded me of a specific problem that exists there – and how much I am relying on your help to fix it. Angelina grew up in a very poor rural village in Timor-Leste called Kameia Village. Basic necessities like clean water and electricity were often not accessible. When Angelina was just a child, both her mother and father passed away. She was helpless and alone – not yet old enough to take care of herself. Her aunty did not allow her to go to school. She never had a chance at an education. You can lift barriers to education that children are facing in their own homes. Please help with a gift by 30 June. I am incredibly grateful for the support you continually give to Mary MacKillop International. I understand this is a time of the year with many financial demands. I ask you to consider making a tax-deductible donation so families in the poorest communities can have a chance at education. When Angelina was 23 years old, she married and moved out to start her own family. She told us how excited she was to send her kids to school – giving them an opportunity she never had. But a part of Angelina still felt she was letting her children down… She couldn’t help them with their school work. How could she when she’d never set foot in a school herself? When a teacher from her children’s school told her about the Mary MacKillop International Parent Program, Angelina signed up for our 10-week course to learn basic reading and writing. “…I have no experience about how to write and read… but when I attend this training with parents program, I have bit confidence to write even not much but at least can help my little girl with something. Quality education is a proven pathway out of poverty. It is vital for a child’s long-term development and ability to contribute to society. But for this to happen, it is important that children are supported in the home as well as at school. 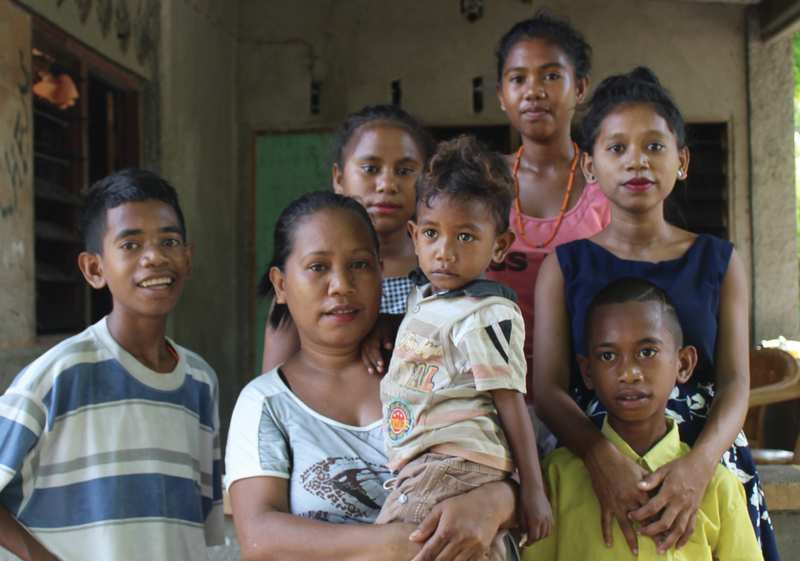 In Timor-Leste, particularly in rural areas like the village Angelina grew up in, most parents are illiterate – because many of them did not have the opportunity to go to school. It is awfully disempowering for these parents to feel they cannot play an active role in their children’s education. This is a specific area of need that we are responding to with the Parent Program. By supporting this program, you’ll play a key part in training parents from remote areas in the skills and knowledge they need to actively engage in their children’s learning at home. We need to raise $87,000 by 30 June to give parents in poor communities access to our vital learning programs. Your gift will allow parents like Angelina to join our reading and writing classes. You’ll also help us provide simple educational books and games they can use with their kids at home. Plus ongoing mentoring throughout the year by a dedicated MMI field officer based in their community. Angelina finally has her chance at education – enough for her to nurture her children’s learning. But there are still many more mums, dads and carers in poor communities who cannot help their children learn. Simply because they never had a chance to go to school themselves. These families need your help. They are faced with barriers to education – ones that you can lift. Please make your gift by 30 June by using our donate button on this website. I will ensure your gift is put to use right away so more parents like Angelina can help their children overcome barriers to education. Thank you for your generosity and your prayers for people living in the poorest communities. P.S. Please donate by 30 June to help break the poverty cycle and give children a chance at education.